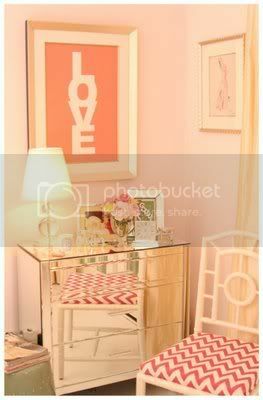 Great inspiration room from Frou Frou Fashionista. If I ever decide to go this girlie and pretty then I am so stealing ideas from her room makeover! mm, beautiful! fresh and feminine. oh i had seen these pics on their blog. this is how i would my home to look too! These pictures are so adorable. I'd love to have a room like that. If David would let me, this is what my whole house would look like! Love these pictures! Happy Black Friday! oh i love these pictures!!! i'm with you...might have to get some serious inspiration from them!! I love how all the bras are organized! The whole room is fabulous! I do love this kind of inspiration! Yes that make over was pretty amazing! oh i saw these a awhile back. such girlie heaven! 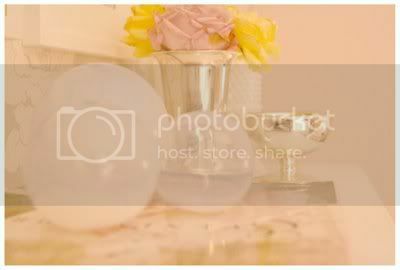 such beautiful images; sort of a shabby chic theme. i'm obsessed with the drawer of pretty bras! This is what i want my room to look like....right now!!! this is so gorgeous. my room used to be a dark, modern, "bachelorette pad". and the rest of my house is antique. it's still a work in progress, but its lookin good! check out my mom's blog if you want some tips/ideas or inspiration - she's amazing and legit. So romantic looking and clean! Love it! This stuff is soooo cute! So sweet and so adorable... I love these room ideas. 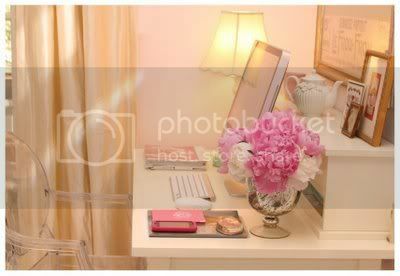 This bedroom is perfectly girly! I'd love to have my boudoir decorated just like this. totally lusting after that room! can't believe i'm just now seeing this! thank you for the feature of my bedroom! !